Tung Wah College (TWC) was founded by the Hong Kong charity Tung Wah Group of Hospitals, is a self-financing and self-operating tertiary institution established in 2010. In 2011, the college is permitted to register in accordance with Post Secondary Colleges Ordinance and approved by the Chief Executive to award degrees. 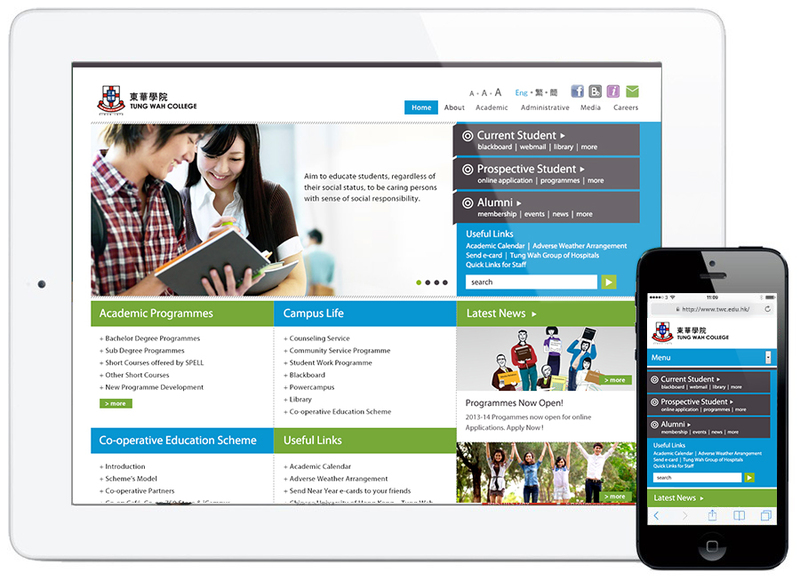 Tung Wah College would like to make their important information stand out on their website with seamless user experience across platforms, and user friendly admin backend is available to their staff of different departments to manage the information efficiently and effectively. 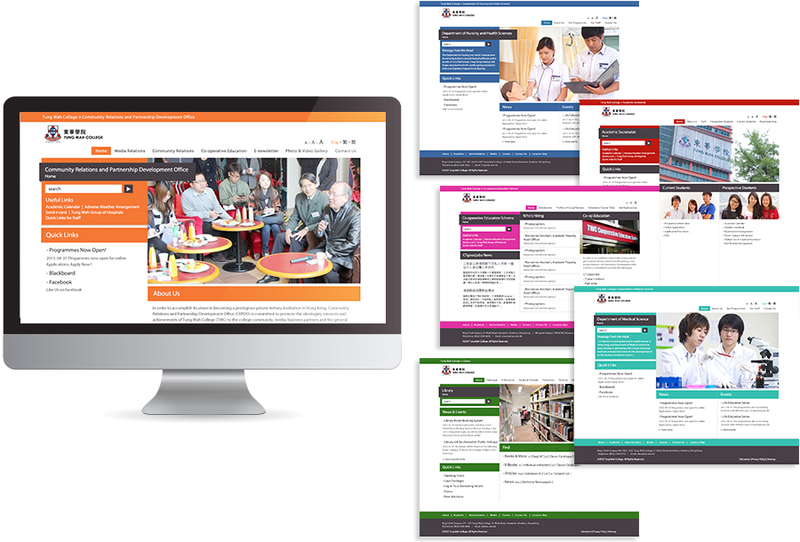 Together with the main site, there were over 20 multi-languages department websites to be built and they were mobile friendly with the “web for all”, web accessibility standard, Tung Wah College won the Web Accessibility Campaign 2013 Award Scheme Silver Award from Hong Kong Government. The client aware the importance of the website to work well on all device sizes, as such the website has been designed to work responsively. 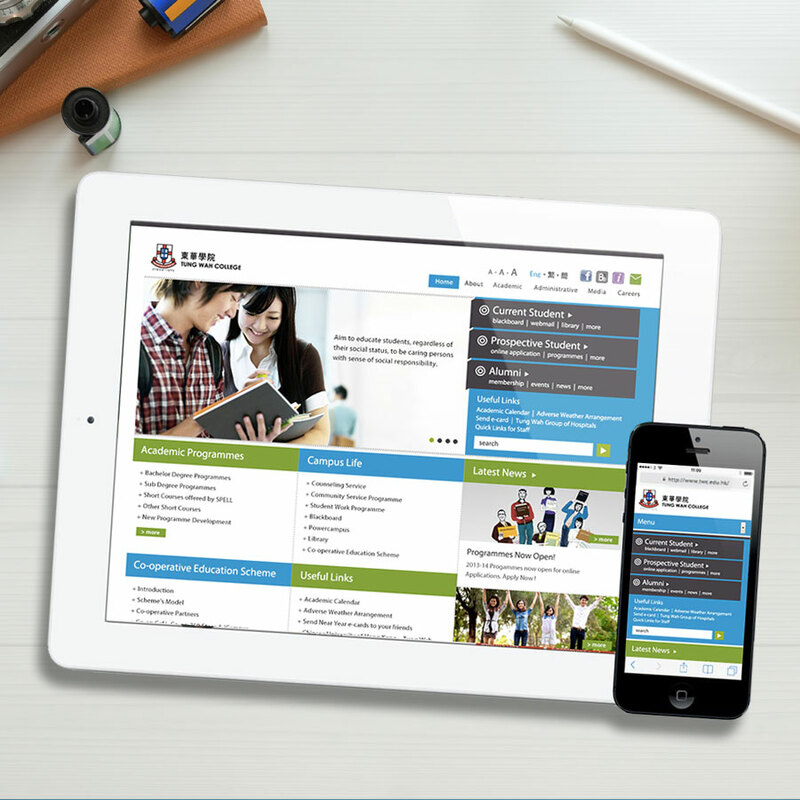 With the responsive design approach, the website automatically changes its layout based on the size of device. This ensures that every user will enjoy a streamline browsing experience tailored to their environment. We design a child theme which is available for the client to duplicate and reuse assigning different color for different departments, giving them the flexibility for future growth. To have full control over all content of the site, it is built on powerful WordPress, content management system, allowing for administrators with no web skills or knowledge to manage content easily. 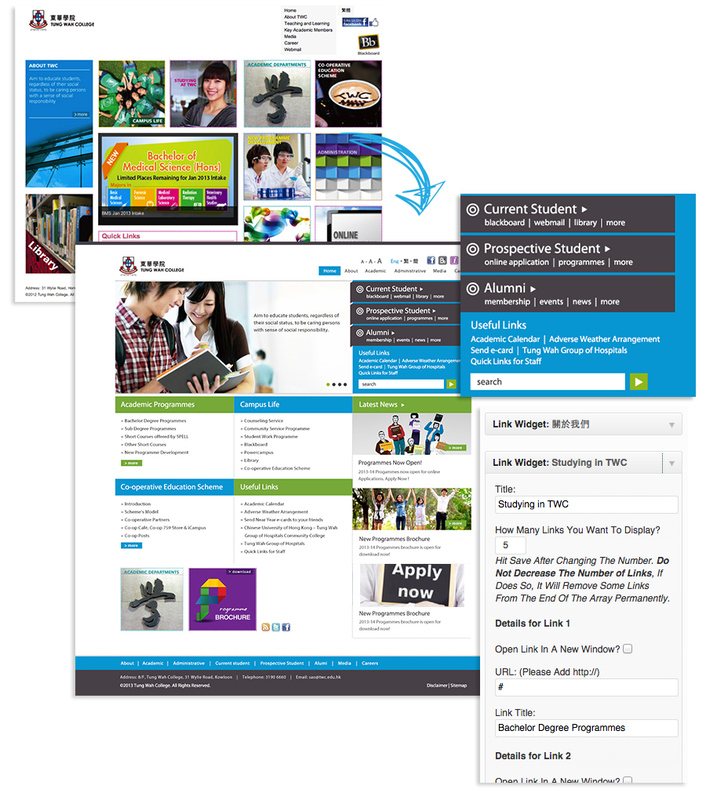 All latest information of courses, events and activities are always available to the users.